What China needs to do to continue to push through with reforms. 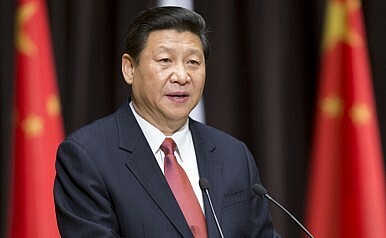 Recently, I’ve been reading some interpretations and analyses of a series of lengthy and tedious speeches, instructions, and policies put forward after President Xi Jinping took office. It’s a lot of fun. Previously, upon publication of Xi’s book, I started to recommend the book to my American friends and even volunteered to sell the book once, just like a typical “self-employed 50-center.” In my opinion, you need to study China’s problems by reading Xi’s book and listening to his speeches – then you can easily gain a comprehensive understanding of the situation and predict the future. Among these three, reforming the personnel system is the most important task and also the most difficult problem to solve. There are reports that over 100,000 corrupt officials have been caught, not to mention the many well-known “big tigers” ousted since Xi’s administration took office. With each big tiger caught, a nest of corrupt officials will always be uncovered. After two years of this, there are many vacant governmental positions. In addition, the strengthened anti-corruption drive makes other officials at every level want to back out. Under these circumstances, it seems to be pretty important to promote truly talented people to the appropriate positions by adopting flexible methods for evaluating talent. But as we know, the Chinese Communist Party always promotes people by following strict procedures, making people move up through the ranks in increments (and of course there’s the previous practice of buying office). It will be hard to make a quick breakthrough in the system. The second directive from Xi that I’m concerned with has to do with think tanks. I’ve worked in think tanks for a long time, and always felt that organizations governed from the top down and built with specially allocated funds are think tanks in name only. The “new-type think tank” put forward by Xi is definitely the type that I’ve always advocated for: think tanks that will give advice and suggestions and speak truth to power in the name of China’s development and social progress. And it is totally different from the current so-called think tanks, which shamelessly flatter those in power, at most giving them some explanations on policies, playing the role of make-up artists for current rulers and soothing public opinion. After Xi put forward new-type think tanks, departments at each level (especially some existing think tanks) were excited for a while and quickly took action. Some collected money to instantly adopt the façade of a “new-type think tank” even while using their old cast of characters and ways of thinking. Looking at several of these organizations, I’ve seen only superficial changes – the result is definitely not what Xi asked for. In other words, if the authorities keep using these think tanks, they will be just as bewildered or even misdirected as they were before. The clearest examples are that some think tanks misjudge and mislead when it comes to the South China Sea disputes, China’s military parade, China-Japan relations, and China-U.S. relations. They deliberately misdirect the authorities or don’t dare to speak the truth on these issues, and the top leaders are the ones who will have to pay for this eventually. I won’t say anything more – if you’re really part of a think tank, you definitely understand what I mean. Last but not least, I am concerned about the “united front” work for “Big Vs” first brought up some time ago. I have given many examples in my seminars for local governments, arguing that the majority of problems local government are facing can be solved by direct communication with netizens or local “Big Vs” instead of hostile thinking, which only makes things worse. Local governments shouldn’t let the people be provoked against the central government because of the fate of a single house. Of course, there are also no risks in “uniting” with these people, and some might think, why not spend more money on our own people? But new media professionals and so-called “Big Vs” should hold different ideas, ones that truly influence society and provide constructive feedback to the government, instead of singing uniform praises for the authorities. If you work with the latter group and call it “united front work,” the real united front work can’t be done – normal people will hold their noses and stay far away from you. Boldly promoting talented people, depending on responsible think tanks, and uniting all possible people together will be the key to determining whether or not deepening reform can progress smoothly. Why China shouldn't seek to homogenize online and media discourse.